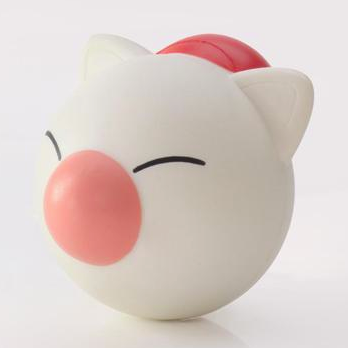 I can't say I've ever had much interest in owning or even using a stress ball, but I'm giving the idea serious consideration after setting eyes on the Final Fantasy-themed ones that can be seen throughout this post. 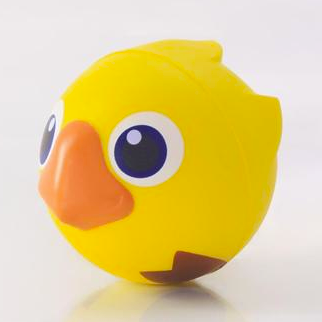 If these were plushes or something of the sort, I'd point to the Chocobo and Moogle varieties as potential purchases, but what kind of monster would I have to be to enjoy pulverizing the faces of those adorable mascots? 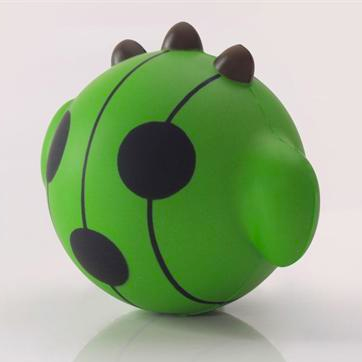 I probably wouldn't have the same problem squishing Cactuar's noggin between my fingers, though, so let's say that's the one I'd go with if I were to go ahead and buy a Final Fantasy stress ball. Shopncsx.com is selling these beauties for $15.90 apiece, by the way, with orders expected to begin shipping sometime next month. I'd get that Cactuar one just because it would be satisfying to squeeze the hell out of it and scream, "I'M NOT MISSING NOW, AM I?!" I guess it's a price for size type thing--I'd definitely go for 7$ or 8$ each though. Times have definitely changed when it comes to import games! With all the Japanese sellers on ebay nowadays it's a lot easier to find stuff (I still haven't put in the time to figure out proxy bidding/yahoo japan yet though). Oh, yes, $7 or $8 definitely would be more acceptable for something like this, Jeremy. No question. And, yes, times have changed--drastically--when it comes to importing games. Thankfully! As for figuring out proxy bidding RE: Yahoo Auctions Japan--I jumped in headfirst a few months back without doing much research. Thankfully, the site I went with--Japamart--has worked out well so far. I have no idea if they're the cheapest when it comes to fees and such, but at the moment I don't much care, as I only use YAJ for games I can't find anywhere else (or games that are horribly expensive everywhere else).